In several recent statements President Kikwete and other government leaders have made it clear that agriculture, which employs about 80% of Tanzanians, brings in 30% of foreign currency, and contributes 27% to the national income, is to be Tanzania’s top priority in the drive to expedite development. Launching the programme on August 4th in Dodoma, the President urged the private sector to participate effectively in the implementation of his new ‘Agriculture First’ (Kilimo Kwanza) declaration. He pledged that his government would “engage the private sector in large-scale farming” in a bid to realise the declaration’s objectives and bring about a green revolution in the country. He said that the private sector had been the only missing link in past agricultural initiatives but it was critical in meeting the ‘Agriculture First’ goals. However, probably mindful of the controversies which have occurred in other African countries like the Sudan, and especially Madagascar, where Saudi Arabian investors were offered a large tract of land for the growing of food crops and the government was then overthrown in a coup d’etat, he added that this did not imply that the agricultural sector’s policy as a whole would be overhauled. The crusade was aimed at injecting fresh vigour into the implementation of various agricultural projects. The President stressed the need to revive the government’s own plantations – some of which formed part of the ill-fated groundnut scheme in the 1950’s as one of the ways of improving agricultural production. “After reviving these plantations, we would like to offer them to the private sector so that they could run them effectively” he said. Tanzania had 29 million hectares of land suitable for irrigation agriculture but the current data showed that only 400,000 hectares were under irrigation. Commenting on the use of seeds, the President said: “I have already ordered all departments in Prisons and JKT to research and come up with better seed varieties.” He complained that most Tanzanians did not use fertilizers – one of the reasons for poor performance. Minister for Food and Agriculture Steven Wasira said that his ministry had embarked on a number of initiatives to establish a ‘farmer’s bank’ in collaboration with the government of China to provide capital to small farmers. The government’s 2009/2010 budget reflected the Kilimo Kwanza programme with a 30% increase in expenditure on agriculture including compensation for losses incurred by crop buyers in the cotton sector. There would be exemption from VAT on processed locally grown tea and coffee and on heat-insulated milk cooling equipment as also on farm services – land preparation, cultivation, planting and harvesting. There are also specific budget allocations for the identification and surveying of land for large scale food crop farming. The government has increased subsidies on fertilizer from Shs 7bn in 2005 to Shs 118bn in 2009. If an important element of a flourishing democracy is the existence of an outspoken elected parliament not afraid to take a country’s administration to task when it fails to satisfy the aspirations of the people, Tanzania now has a flourishing democracy. The parliament of 2009 is hardly recognisable when compared with the performance of earlier parliaments which either didn’t want to or were afraid to tackle the government head on. On the issue of corruption above all, MP’s are making themselves heard, especially now that they have been allowed to expose it, investigate it, insist on punishment of the guilty parties and propose measures to stop it. – the sale of Williamson Diamond Mine to Petra Diamonds of South Africa. In August, as in the UK, the salaries and allowances of MP’s themselves came under the spotlight when details were revealed by leading anti-corruption crusader CHADEMA’s Dr Wilbroad Slaa. Just as in UK this was not a popular move as far as some MP’s were concerned. He began to be booed by his colleagues when he advocated salary cuts. He said that their salaries should be made proportional to the salaries of public employees. “Let them jeer me. It will wash off my back, for the final decision will come from my voters next year” he declared. As in the UK, the Speaker’s sympathies seemed to be with the MP’s who were protesting. In an interview with the Guardian on Sunday the Speaker said it was not true that legislators were earning a huge income. MP’s taxable base stood at Shs 1.8million (£ 840); the rest of the money paid to them was shared with their aides. Critics were wrongly including their allowances and other charges in their monthly salaries. “Is it fair to include a sitting allowance, per diem and other charges in an MP’s monthly pay? Is it also justifiable to include the salary of an assistant to an MP’s monthly pay? ” he asked. He said the allowances paid to the MPs were just the same as the allowances paid to all other public servants of the same rank, adding that all senior officers were paid per diems and sitting allowances. At the height of this row in July, the Speaker said that a group of people were putting his life in serious danger. This followed alleged reports circulated on the internet that he was plotting to torch parliamentary offices to destroy sensitive files containing negative information about him. Two tabloid newspapers were said to have been running fabricated stories meant to undermine him in his personal and official capacity. He asked the government to strengthen his security. The Assembly gained praise when the Public Procurement Regulatory Authority stated that it had achieved 92% in levels of procurement compliance – the highest figure in the country. As this issue of TA went to press, there was further drama surrounding parliament. At a meeting of the CCM National Executive Committee (NEC) a group of MP’s expressed their anger at the way in which Speaker Samuel Sitta had allowed CCM MP’s to be critical of the government. They demanded his resignation. President Kikwete allowed them all to express their opinions – for 17 hours – before a compromise was reached. The Speaker apologised and an ad hoc committee was set up, under former President Ali Hassan Mwinyi, to come up with guidelines for the conduct of the party’s MP’s. This decision, which many thought was designed to ‘gag’ CCM MP’s who were not toeing the government line, brought all kinds of criticism from personalities outside parliament. The leader of the official opposition in parliament, Mr Hamad Rashid, said the move by the ruling party was “proof that it does not respect democracy and good governance”. Other opposition leaders suggested that CCM MP’s who were not happy should think about joining the opposition! The very busy Director General of the Prevention and Control of Corruption Bureau (PCCB), Dr Edward Hoseah, has revealed to the investigative newspaper ‘This Day’ that the forthcoming trials of prominent citizens all involved ‘grand corruption.’ Several investigations were being finalised, he said. Meanwhile, the Swiss Ambassador in Dar, during the launch of an online corruption tracker system, pledged to help Tanzania recover any public funds that may have been stashed away in its banks by corrupt people. The ambassador said his country would also “gladly help to repatriate funds” confirmed to have been looted from Tanzania and hidden in Swiss banks. In spite of all this, a new Transparency International report released in July said that Tanzania was the least corrupt nation in the East African region. The Kenya Police were said to be the most corrupt institution in East Africa and Kenya had the highest incidence of corruption at 45%. Uganda was 34% and the figure was similar in Tanzania. Tanzanian High Commissioner in London, Mrs Mwanaidi Maajar, interviewed in the Guardian, said that ‘in the war on grand corruption, people in other countries shouldn’t judge Tanzania by the number of reports on corruption appearing in the media but by the way the country was fighting the vice. ‘International opinion makers normally focus on what governments are doing about it. For example, people in the UK are keen to know what the government will do to ensure that expenditure-related scandals involving MP’s do not recur because that is what matters the most.’ The Tanzanian government had done a lot to address the corruption problem, she said. This scandal, which resulted in the resignation of former Prime Minster Edward Lowassa and other ministers, has been described in detail in earlier issues of TA. A House Select Committee formed in 2007 said there was ample evidence that Richmond was a briefcase company incapable of manufacturing even electric bulbs; it could not have complied with an agreement it made to supply electricity to Tanzania. The committee made many recommendations but there was no reaction from the government for several weeks. MP’s began to complain. Finally in August the government issued its response entitled: ‘Implementation of the Parliamentary Directives.’ It exonerated PCCB Director-General Edward Hosea and Attorney General Johnson Mwanyika. It also exonerated civil servants whose names had been linked to the contract. None of the officials was liable for legal action and the government would take punitive measures only if an official was implicated in the ongoing court cases against the owners of the Richmond Company. MP’s were far from happy with this and the government came under fire from all sides of the House. Opposition CHADEMA MP Zitto Kabwe told The Citizen that the Richmond debacle had exposed the Government and heightened its differences with parliament. After what was described as the ‘fierce debate’ in parliament, rumours began to circulate about a possible involvement by the president himself in the scandal. Within hours of the debate the State House issued a remarkably detailed response strongly denying the rumours. It said that the president was involved in four different stages of the saga. In the first stage, he allowed Tanesco to hire emergency power generating plants. At the second stage, he asked the World Bank to allow Tanzania to use a portion of its aid granted by the Bank under the Debt Relief Initiative, to pay the cost of hiring emergency power generating plants during the 2006 electricity crisis. The Bank allowed Tanzania to spend $225million to hire emergency power generating plants. Part of the money was used to buy a 100 megawatt power plant. The President was also involved in chairing all cabinet meetings that discussed the 2006 power crisis. During these meetings the President made it clear that despite the looming power crisis, public procurement procedures should be followed to ensure that Tanesco got a competent bidder. At the fourth stage, the President blocked a $10 million down payment to Richmond and demanded accurate reports about the integrity of the Texas-based company. The President had also rejected an application by the Ministry of Energy and Minerals, seeking approval for Richmond’s request to receive down payments. The President also demanded thorough research about the company before the releasing of any down payments. A ‘This Day’ reporter wrote that it appeared that the PCCB was having difficulty in building an airtight case against some prominent suspects in this three-year long $28 million military radar transaction scandal. In February the PCCB said the Director of Public Prosecutions (DPP) had opted to withhold his mandatory consent for the prosecution of the suspects pending further investigations. 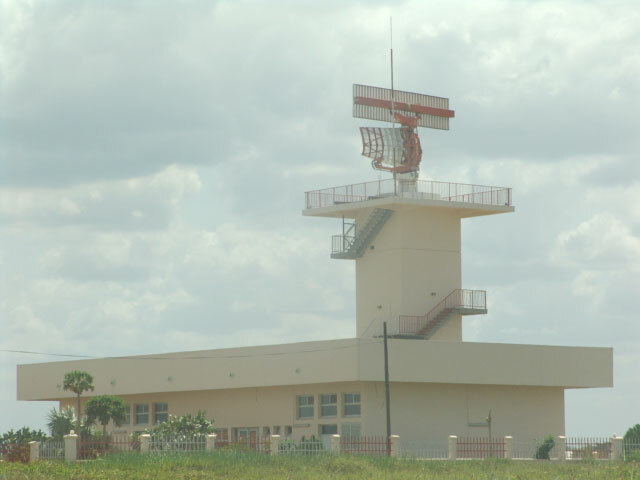 The paper reported in August that the PCCB had lined up at least five major corruption cases for early prosecution but it was yet to obtain consent from the office of the DPP to prosecute the Radar trial. One of the accused in the case involving the Shs 133 billion losses incurred by the Bank of Tanzania (BOT) has said he made his confession of guilt under duress. Several new developments: Following China’s contribution to the construction of the Shs 4.2 million mine in the early 1980s it soon ground to a halt before former President Mkapa’s administration decided to sell it in a controversial deal in which the former president himself with family and partners, was alleged to have bought the mine at a cut-down price. In July 2009 however the Government absolved Mkapa from suspicions surrounding the mine’s sale telling Parliament that the former President withdrew his 200,000 shares from the firm in 2005 after the firm through which he had bought the shares failed to pay for them. This absolved him from accusations that he used his influence as head of state to engineer the failed venture. On June 5 Energy and Minerals Minister William Ngeleja announced that the government had taken back the mine and was determined to implement a project to generate 200 megawatts of electricity within 18 months. Finally, in August, Prime Minister Mizengo Pinda announced that China was going to invest $400 million to revive the mine which was no longer operating – The Citizen. However, 82 Pentecostal Church of Tanzania leaders had earlier called on the government to intervene in favour of DECI in its wrangle with the Bank of Tanzania and the Capital Markets and Securities Authority over the legitimacy of the scheme’s operations. After the government ordered DECI to close down, five DECI officials, said to be pastors of the Pentecostal Church, appeared in court charged with illegally conducting and managing the pyramid scheme. TA 93 described how a row had developed over who is responsible for any oil that might be discovered in Zanzibar – the Union government or the Zanzibar government. The row has continued with the Zanzibar cabinet insisting on Zanzibar’s right to the oil. In his national budget speech the Finance Minister said that the row over sharing of costs and revenue from oil and gas would come to an end after deliberations on the report, submitted to the Union government on June 30 this year by a British consulting firm, had been considered. The Union government had asked the firm to study how best the two sides of the union could engage in oil and natural gas exploration and how to share costs and revenue so collected. The consultants’ report called for the establishment of a Joint Petroleum Board and the review of the Tanzania Petroleum Development Corporation’s structure. Zanzibar was not happy. One day after Prime Minister Pinda had expressed his anger over the anti-Union noises continuing to emanate from the Zanzibar House of Representatives, the Minister of State in the Office of Zanzibar’s Chief Minister’s said that Zanzibar would never work against the Union that had been in existence for 45 years. “Our intention is not to destroy the Union but to defend it for mutual benefit,” the Minister emphasised – Tanzania Daima. President Kikwete said that since no oil has been discovered in the country, there was no point in arguing about distribution of revenues. “Recently the issues of oil and natural gas and its revenues has shown indications that it could divide the nation despite the fact that it is being worked out according to rules and procedures” he said. There had been hot discussions and sometimes the language used could create an impression that there was a misunderstanding between us. He added that efforts to find oil had been going on for 56 years without any success. 42 wells had been drilled since 1952 and the 43rd one was still being drilled – Guardian. Pemba island is the stronghold of the opposition CUF party which won all the parliamentary and local government seats there in the 2005 elections. Now, with new local elections due later this year and a general election in 2010 the registration of voters has begun again in the island. It was immediately beset with problems. The exclusion of voters from the list either because they did not have the necessary documents or because they were not in favour with the village officials (Sheha) or, as alleged during previous elections, the CCM party wished to limit the number of people voting for the opposition, soon resulted in outbreaks of violence. 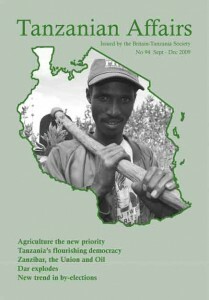 Incidents widely reported in the Swahili press in July and August included the placing of TNT-type landmines, two of which exploded under bridges in North Pemba; an attack on a Sheha; placing of stones on roads to restrict the movement of police vans; and police firing into the air to disperse protesters. On August 5 police seized 20 landmines at Chake Chake. The next day two families of Sheha were reported to have escaped death when landmines exploded near their houses, destroying one of them. In another incident beehives were placed in registration centres to threaten registration officers. Finally, on August 7 it was reported that the Electoral Commission, after two days of meetings, had failed to resolve inconveniences associated with voter registration in Pemba and that the registration process was suspended. The Chairman of the Zanzibar Electoral Commission (ZEC), Salim Kassim Ali, said the House of Representatives had made a mistake when it passed the law stating that voters must have a ZanID, when the Zanzibar constitution stipulated that anyone aged 18 or above with a birth certificate or voting card was eligible to vote. The opposition CUF party protested constantly and alleged that the government was planning to ship thousands of voters from the mainland while some 175,000 Zanzibaris were being denied registration. Then, in mid-August, foreign donors intervened. A press statement issued by the Embassy of Sweden on behalf of the EU countries and supported by the USA, Canada, Norway and Japan pointed out that the right to vote is one of the fundamental rights in democracy, and that all citizens should have the right to participate in the 2010 elections. The donors urged political parties to desist from any acts of violence and instead to use peaceful means to channel their complaints. As this issue of TA went to press it was reported that registration was likely to commence again and that a delegation from the EU was expected in Pemba. On July 23 President Kikwete pressed a knob to inaugurate the Seacom International undersea fibre optic network in Dar. It is expected to revolutionise internet and telecommunication services in the country by improving efficiency and easing the current costs by over one third. He noted that the Eastern African coast had been the longest coastline in the world without optic fibre cable connections to the rest of the world. “Today, this is history,” he declared. However, he said the landing of the cable on Tanzanian shores could only be useful if there was a terrestrial link to pull it further inland to the masses of users. “We already have some existing network with Tanesco, Tanzania Railways Limited and the Songo Songo gas pipeline, but we have been working on a wider network to cover the whole country,” he said. The President added that the government had secured part of the financing and work had started on laying the National Optic Fibre Cable (OFC) network covering a distance of 10,674 kilometers – Guardian. Police in Dar es Salaam mounted a massive manhunt on July 31 after more than 10 armed robbers stormed the Temeke, Dar es Salaam branch of the NMB Bank, stealing over Shs 150 million, killing one person and leaving 14 others seriously injured. The gangsters came in three vehicles bearing government number plates, and, for the first time used hand grenades as well as small arms in the attack on the bank. According to The Citizen, they smashed the glass to the teller’s compartments and some of them gained access to the tellers’ cubicles, stashing money into their bags, while others kept a close eye on those who were lying on the floor. With bags bursting with cash, the thieves came out of the bank and got away in two of their vehicles. Police Commissioner Manumba was concerned over the heavy weaponry used by the robbers. He said it was disappointing that despite efforts taken by the police force to check proliferation of small arms, there were still people in possession of such deadly weapons. In 2006, armed robbers waylaid NMB vehicles at the Ubungo traffic lights and made away with millions of shillings, killing two people and injuring several others. 16 people were charged in connection with the robbery. Their case continues at the High Court. In another incident, armed robbers attacked the NMB Mwanga branch in July 2007, making away with Shs 234 million. In this one, several people, including 11 Tanzanians and Kenyans were charged and their case continues in a Moshi court. During the budget session in Parliament Finance Minister Mustafa Mkulu reviewed the state of the economy. He forecast a significant fall in revenue because of the global financial crisis and said that the Government would borrow funds from the domestic market, although he hoped that donors, would increase their support through loans and grants by 30% compared with the previous year. The economy of Tanzania is estimated to have attained GDP growth of 7.4% during the year 2008 (7.1% in 2007). The annual rate of inflation for 2008 was 10.3% (7% in 2007.) The rate of inflation reached 13% by the end of March 2009. Donor dependency is expected to grow due to the economic crisis reaching 45% of the 2009/10 budget. Tourism and gold receipts continued to dominate the export sector accounting for 27% and 18% respectively. Foreign reserves increased by 3.9 % to US$ 2,869.7 million in 2008, enough to cover 5 months of imports. As at 31 December 2008, the national debt had increased by 7% at $ 6,329 million – 32.6% of total GDP. – removal of import duty on pharmaceuticals. There was such strong criticism from religious leaders of the proposal to lift tax exemptions enjoyed by religious and other non-governmental institutions providing services like education, health and water that on June 17 the Prime Minister announced, at an emergency news conference, that this part of the budget would be cancelled – Guardian. The financial crisis has availed us of a golden opportunity to see the two major schools of political and economic thought being played out in an open arena and the divergence in approach to solutions. The school on the right characterised by the Conservative Party in the UK, Republican Party in USA and the CDU in Germany offers a simple and clear approach of allowing the recession to take its course. (The left call this “the do nothing approach”). This school also believes in protecting individual liberty, private property, in fiscal conservatism and small government and fewer taxes. To them a country is a sum of individuals rather than societies. The left school of thought characterised by the Democrats in USA, the Labour party in the UK and the Social Democrats in Germany believes in Government interventions in economic activities to safeguard economic prosperity and to act as a safety net for the people. The left believes a country is made up of societies hence unions and such overused phrases like “hard working families”. While the left, led by President Obama and Prime Minister Brown favours increased government spending and bailing out failing key companies, the Right led by Mr Cameron in the UK and the seemingly leaderless Republicans in the USA are vehemently opposed preferring instead to encourage the opening of lines of credit to viable business while allowing bad businesses to fail, which is a good case of “constructive destruction”. In most countries these two schools of thought tend to converge and form a more or less identical centre-right/centre-left position with the demise of socialism and the rejection of pure capitalism offering a more amenable form of governance. In Tanzania, with the exception of the Mwalimu phase, the IMF engineered policies that bear no resemblance to either school. Interestingly, CCM’s core belief remains that of “Socialism and Self Reliance” which is centred far to the left. God knows what it means in today’s CCM world. The opposition parties fare even worse. The irony here is that the IMF prescribes economic and social medicine but bears no political or economic responsibility for the consequences. Over the period of Mr Kikwete’s presidency we have witnessed a restrained approach in diversifying the remaining major companies and utilities still in government hands. The government has intervened directly: in Air Tanzania by breaking the partnership with South African Airways, appointing a new management, and loaning it over Shs 5 billion of taxpayers’ money; in the Port Authority, the Telecommunication company (TTCL), TANESCO and the postal service by issuing directives on the way forward; in the National Insurance Corporation (NIC) the government has underwritten a NIC reorganisation; and, in TRL employees’ benefits have been improved. In most countries the conclusion from the convergence of the two schools of thought is that the state is a bad allocator of capital and therefore the best job for the government is to legislate and regulate business and not to run it. This is only possible if the government policy framework is credible and sets clear objectives and there is an understanding of the conflicting goals of government and private investors/shareholders. In the words of Adam Smith in ‘The Wealth of Nations’ “it is not from the benevolence of the butcher, the brewer, or the baker, that we expect our dinner but from their regard to their own interest”. There is no doubt that most of TRL’s many problems emanate from these sorts of conflicts. One cannot blame President Kikwete for trying to prop up the Mwalimu era of publicly-held companies and utilities. As he directs from the state house pulpit, summons CEO’s for a dressing-down and makes surprise visits to the port to highlight inefficiencies he also notes their critical importance to the country. But in this year of the 200th anniversary of Darwinism the nature of human beings in pursuit of self interest in the course of survival comes very much into play. This human behaviour has tested Mwalimu’s structure of governance at a huge cost to the country let alone the tax payer. In this structure the taxpayer owns the companies, the President appoints the Chairman and Chief Executive with the respective Minister constituting the Board. The management bear no risk to the capital they are charged to employ and stand not to receive rewards for taking risks as they are serving at the pleasure of the appointing authority. So no matter what the President may promulgate, their goals are always short term. In the private world of owners and managers there is increasing professionalism (business competence, audit committees, independent non-executive directors). Rewards are linked with ownership through share option schemes. This is not perfect as seen in the case of the Royal Bank of Scotland but at least it addresses the key weaknesses. Now the government’s shares in public and partly privatised firms are vested with the Treasury Registrar and very few if any in government can claim to have either the knowledge or the professional experience to run major businesses. The shenanigans emanating from the THA, NIC, TANESCO, the TTCL, the Postal Service, TRL, etc are almost guaranteed. Vesting these shares in government-owned but independently and professionally run companies similar to the UK Financial Services Authority may go a long way in safeguarding taxpayers’ money, and creating value, while removing direct political interference.